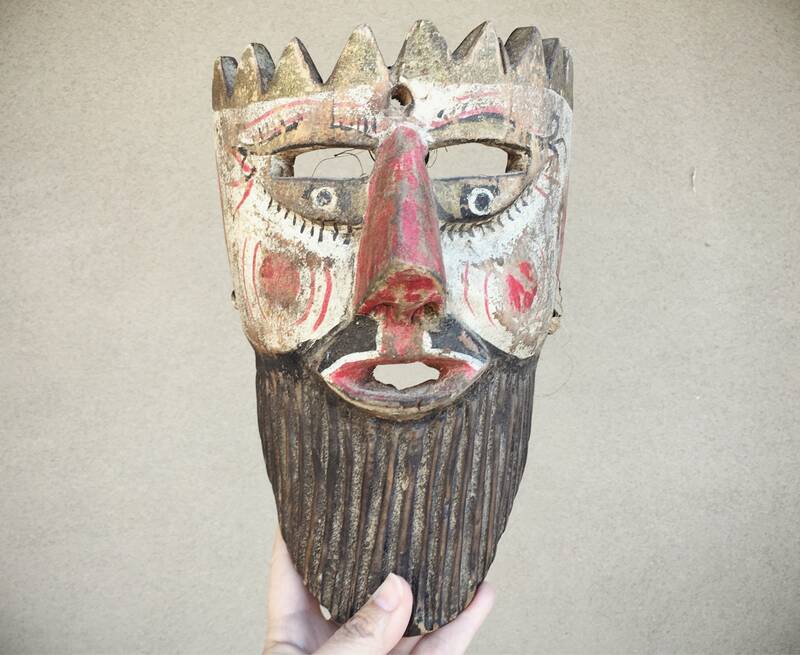 I purchased this mask in an antique shop in Mexico, and we can tell this is quite old--I estimate at least 1930s and possibly older. 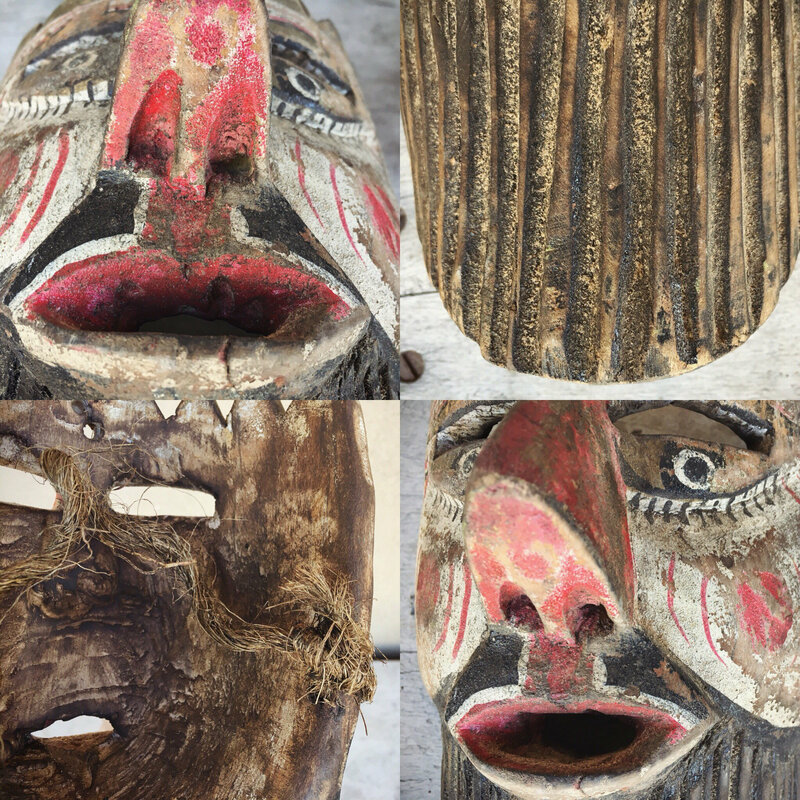 These masks are associated with a centuries-old ritual carried out throughout Latin America, associated with the 15th Century conquest of the region. Called "Moros y Cristianos," or "Moors and Christians," the ritual is a dance that has some controversy as to what it means. 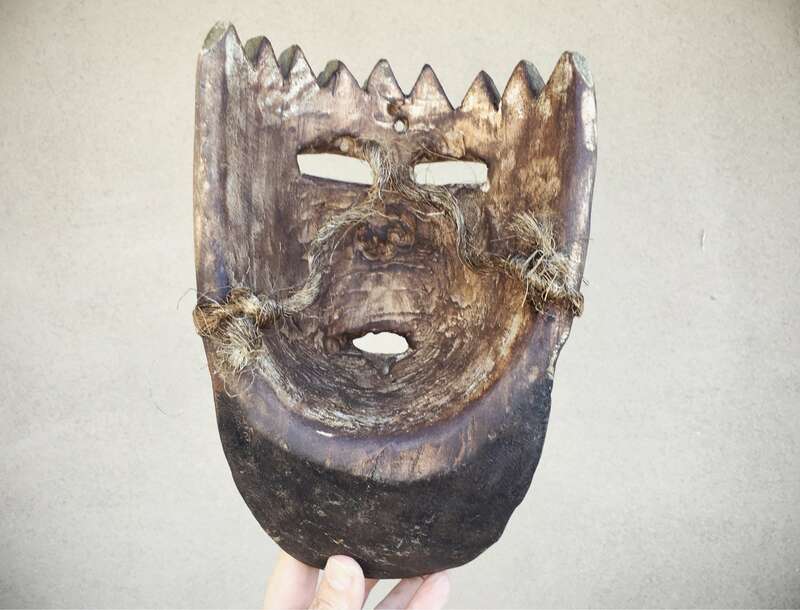 Mainly performed by indigenous peoples who wore (and the ritual still happens in modern time) the masks, some academics have claimed that the ritual re-enacts the conquest of the Spaniards in the region and the defeat of the indigenous populations. 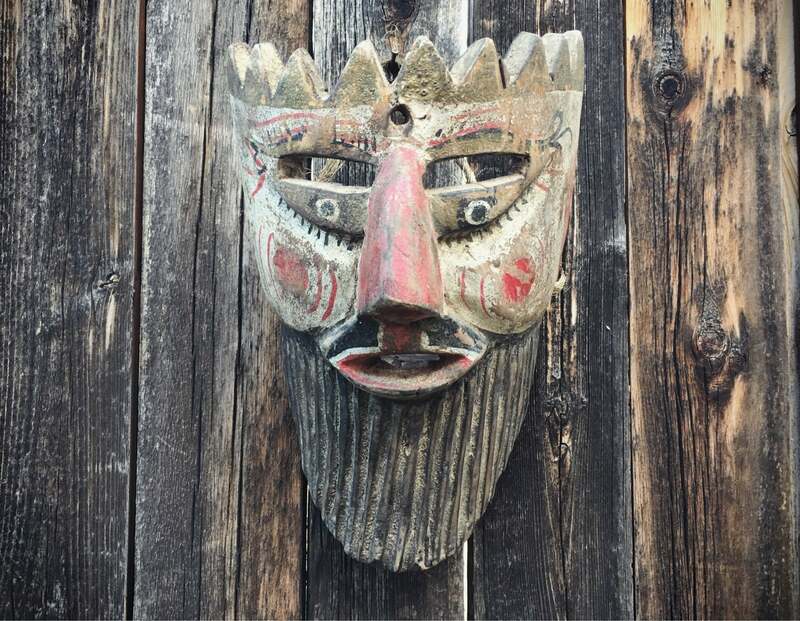 However, there is compelling evidence that the ritual--and the masks--actually mock the Spanish. 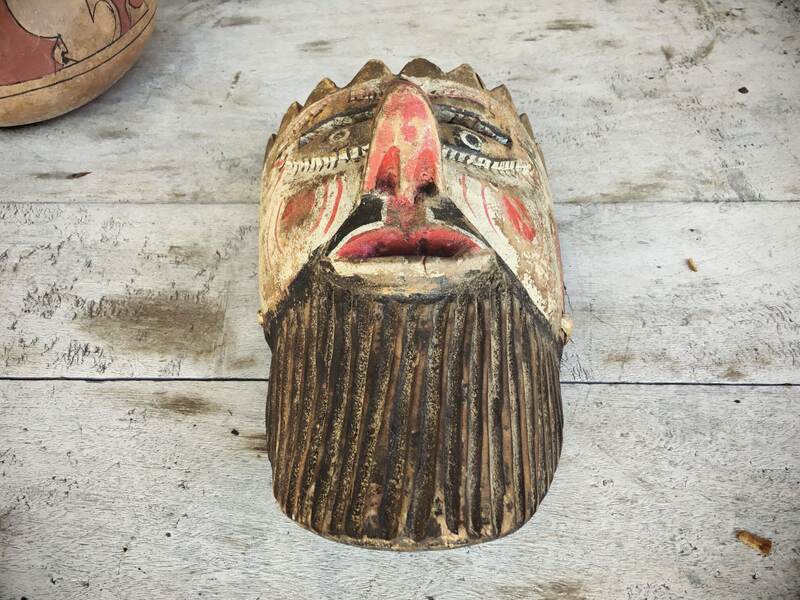 This notion resonates with me, as I have collected these masks since the 1980s, and have often wondered why some of them--not the antique ones but more recent ones--often depict men (presumably Spanish given the color of the skin and the style of their hair) with no teeth and crazy looking eyes, etc. But I digress. 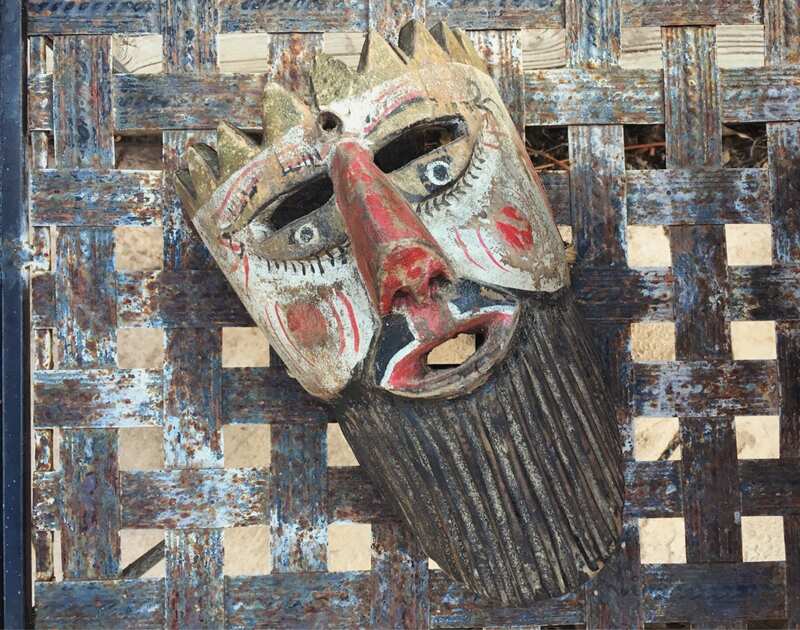 The mask offered here depicts a "rey" or king, which we can tell by the crown. That crown still sparkles with gold paint, although the paint on the crown and throughout the mask is rubbed away from age and wear. The thick natural rope on the back is dry and truly shows age. If you are concerned that the rope might break over time if you use it for hanging, you could try to thread a couple of strands of nylon fishing line or even wire through the holes--would have to be thin as the rope takes up most of that space--to serve as the primary hanging mechanism. 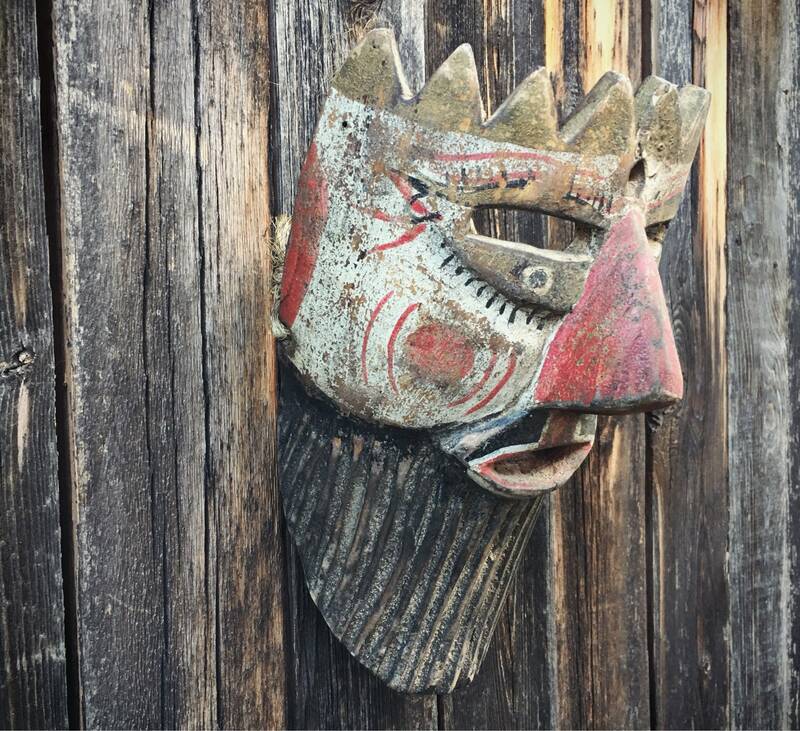 The mask would look amazing on a wall hung with other ethnographic pieces, or even on gallery wall with baskets, although this is by no means simply a décor item but rather a true collectible that should be cared for as you would any other ethnographic art that is unusual and increasingly rare. 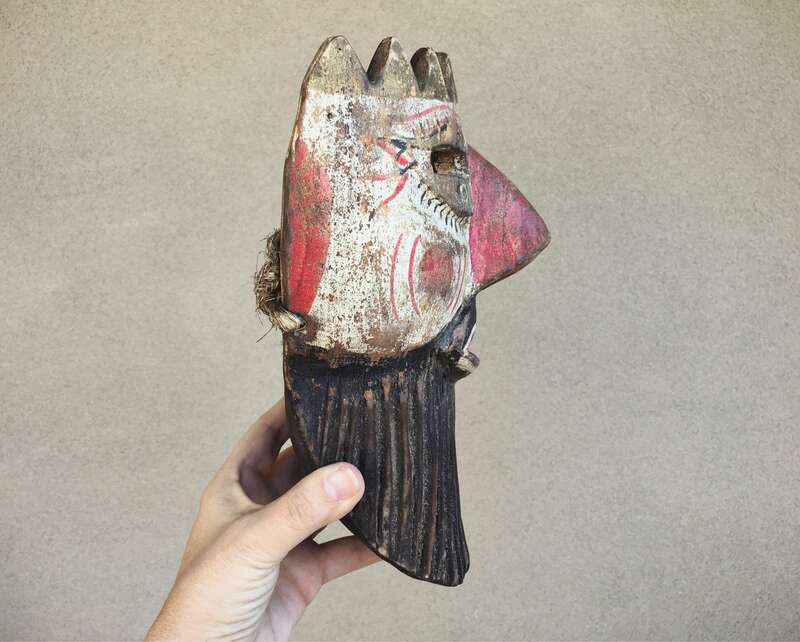 The mask measures about 6-1/2" across at the widest point by about 10" tall at the tallest point, and 5-1/2" deep. Wear is consistent with age--paint worn away, grime encased in the wood, small areas where the wood has cracked or chipped. Even so, the piece is in remarkably good condition, and that it has the original thick rope for hanging is a real plus. 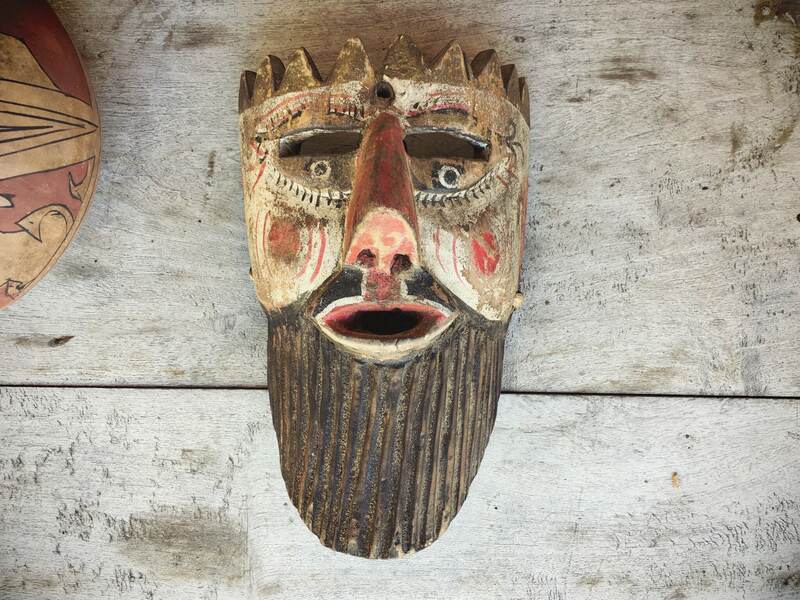 A collectible piece for the person who loves art, ritual, and the history of the region.